Rising Star Games has taken to Kickstarter this week to launch their new Deadly Premonition board game which has been based on the “captivating world and characters” of iconic video game Deadly Premonition. Watch the promotional video below to learn more about its gameplay and design as well as what you can expect from stretch goals when certain targets are reached during the Kickstarter campaign. Pledges are available from just $30 with worldwide shipping expected to take place during December 2017. We have created a detective themed 2-4 player card-based board game inspired by cult sensation videogame Deadly Premonition, set in the mysterious town of Greenvale, following the Murder of Anna Graham. In Deadly Premonition: The Board Game you and your fellow detectives must take on the task of protecting the innocent, incriminating the guilty and work out who might not be who they say they are. With a hidden killer amongst the detectives, the race is on to identify a suspect as an accomplice in order track down the true killer. 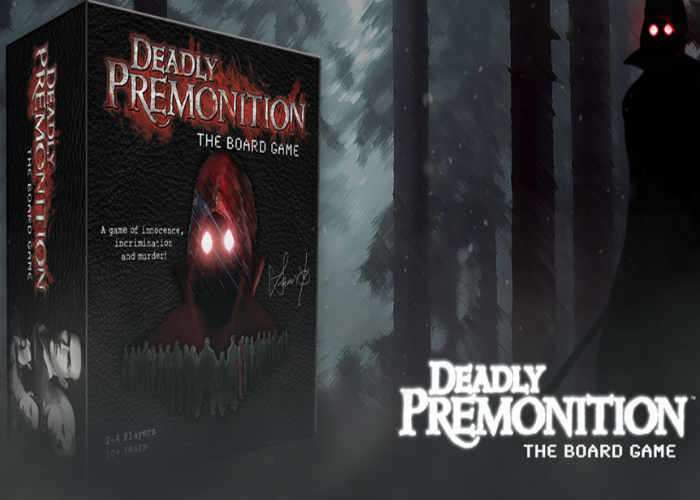 Deadly Premonition: The Board Game is based upon the memorably offbeat characters, creepy locations and unsettling events that unfold in the 2007 cult classic videogame Deadly Premonition, from acclaimed game developer Hidetaka “Swery” Suehiro. The board game is created and devised as a passion project by Samuel Elphick and Daniel Osuna Perez, two members of the Rising Star Games team, and has Swery’s full blessing. The game itself is an adversarial 2-4 player card-based board game where you and your fellow detectives must take on the task of protecting the innocent, incriminating the guilty and work out who might not be quite who they say they are. With a hidden killer amongst the detectives, the race is on to identify a suspect as an accomplice in order to track down the Raincoat Killer.